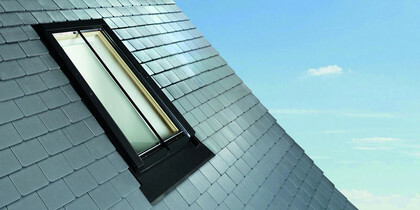 Roto windows on show at Ecobuild 2012 - GO TODAY! The external aluminium cladding is black, to look like cast-iron, and to blend in with Conservation Projects. - Click this link for more details of Ecobuild 2012, ROTO FSC TIMBER CONSERVATION ROOF WINDOWS other Roto Roof Windows, and to buy online.